April arrives with the hopes of spring green gracing our landscapes and farms once again. Cool breezes brushing our skin and sunshine warming our faces — Welcome Spring in all your colourful splendour! Our backyards have popped out from under their winter blankets and are beckoning us to treat them to a spring clean-up, patch-up and green-up — Be sure to get your lawn fertilizer, 28-4-8 w/1% Iron to have the greenest grass in town this spring and top-dress with lawn dresser mix and grass seed for those bare spots. Summer birds are slowly working their way back to our area, greeting us with their happy chirps and carefree ways. Flocks of Canada geese are clustering in fields and open spots on Lake Scugog — sure signs that spring is officially here! Pasture planning, field fertilizer needs and farm maintenance are still on every farmer’s mind. Talk to Harold about your own farm’s requirements for this spring — He’d be happy to help! Chick Days begin this April — Customers can begin placing orders for backyard poultry flocks for May pick-up dates and beyond. Promo pricing of $1.00 per bag off of our Chick Starter and Turkey Starter feeds for April. Find our backyard poultry order forms & price lists with their store pick-up dates on this page, below, and also located on our ‘POULTRY’ tab/page. ***PLEASE NOTE: New policy that payment is due when ordering for all Backyard Poultry Orders of day-old birds and ready-to-lay hens. Chicks & Turkeys — Day-Old — 2019 Order Form & Price List Download our order form & price list for pricing and pickup dates. Please allow 4+ weeks lead-time on orders for the pick-up date you require. Ducklings, Goslings, Guinea Keets & Pheasants — Order Form & Price List Download our order form & price list for pricing and pick-up dates. Please allow 5+ weeks lead-time on orders for the pick-up date you require. Place an order for your desired month’s waiting list and we will contact you when we know when order pick-up date to our store will be — You can decide then if the pick-up date works for you. Order frequency depends upon adequate order volume, the availability of pullets from supplier and timing of third-party delivery services. NB: Birds must be picked up in Blackstock on confirmed pickup day – Sorry, no carry-over of birds to the following day or beyond. Please bring poultry transport crate(s) or large cardboard box(es) for the transport of your birds. For your Information: In Ontario, backyard laying hen flocks may have up to 99 hens without purchasing quota. Ungraded eggs can only be sold from the actual farm gate location; Graded eggs (through a licensed grading station) may be sold anywhere, even from small flocks. FOLLOW US on FACEBOOK and ‘LIKE’ our page for updates, promotions, tips & tricks for your farm, garden & home. For feeding your feathered friends, we have all the bird feeders, feed, peanuts, suet and other backyard wildlife supplies to keep them visiting your back yard. Follow this link: ‘YOUR BIRDS & WILDLIFE’ to visit our page where you’ll find valuable information on both hosting and deterring backyard wildlife. For those who enjoy seeing deer graze on their property, Wright’s Feeds ‘N Needs manufactures their own custom Deer Mix that will attract deer to visit plus we stock whole corn, grains, deer & salt blocks — ***Watch for our custom deer mix available during fall & winter seasons when there is less access to food for deer in the wild. 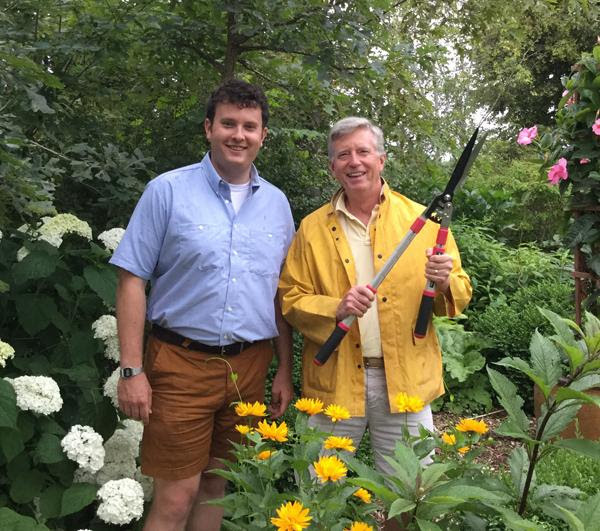 This month, we are cutting down the perennials that we left standing over winter to allow the new growth to push through. Ornamental grasses need shearing to the ground or just a few centimetres above it. Hydrangea should have their heads cut off, that is, last season’s flowers. Old fashioned Annabelle hydrangea should be cut down to about 30 cm to avoid big, floppy plants later in the season that will need staking. Add this “waste” material to your compost and it will no longer be wasted. Start spreading finished compost or composted manure when the frost has finally left the ground over the beds to feed the soil about 3 or 4 centimetres thick — This provides natural nutrients at the root zone. It’s time to prune apple and fruit trees, thinning out old, thick branches and dead wood to open up the tree for spring. Read our recent Toronto Star column about this topic. April is the biggest month of the season for seed starting. First, like now, we sow peppers, eggplant, petunias, geraniums and all the slow germinating seeds. By mid-month it is time to sow tomatoes, cucumbers, melons and the rest of the faster germinating seeds. The secret, which is not a well kept one, is to count back from your planned planting date by the number of weeks recommended on the seed packet. Tomatoes, being a hot season crop, will get planted end of May, through early June. They will be at their peak planting size about 6 to 7 weeks after we sow the seed. See how that works? Start your dahlia bulbs inside using 1-gallon pots and a quality potting mix, which will give you a jump on their blooming season. Dahlia bulbs are available now and you should get them while the selection is at its best. Feed the birds — Use a quality seed mix so that it does not get wasted and you attract quality birds. 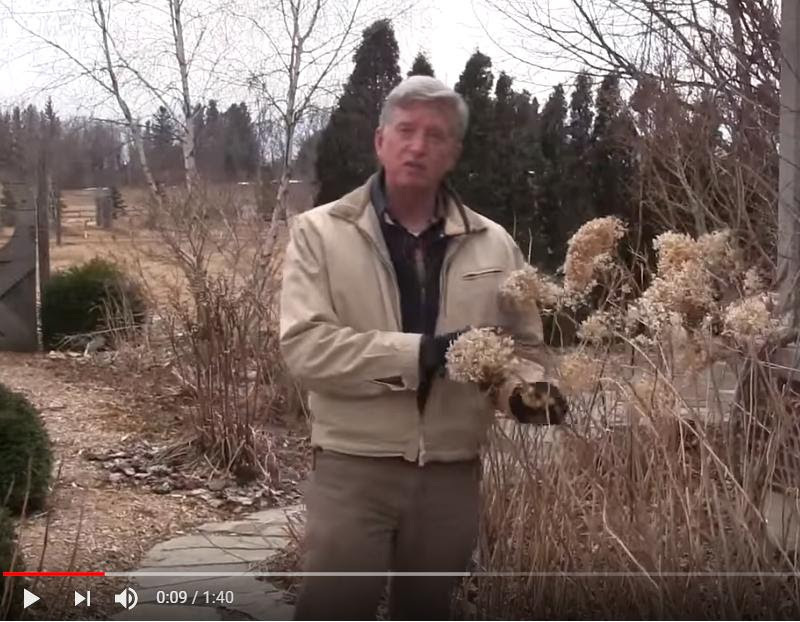 Birds wintering in the south will be on their way back over the next month or so clean your feeders again and fill with Wright’s Premium Wild Bird Seed — Birds love it! Also available are sunflower seed, safflower seed, peanuts (both in and out of the shell), nyjer seed, lots of varieties of suet, corn cobs and lots of feeders for all types of backyard birds. Plant trees, shrubs, evergreens. Don’t wait for the ‘traditional May 24 planting weekend’ to plant frost-hardy trees, shrubs, evergreens, perennials (that are not ‘soft’ and greenhouse forced), roses and hardy annuals like pansies, violas, ranunculus, anemones and spring flowering bulbs which are in full bloom in pots at your favourite garden retailer. Worm castings. Our secret to starting the best seeds. We add one tenth worm castings to seed starting mix. We use 10 scoops of ProMix to one scoop of worm castings. Worm castings convert the raw, organic material in the soil into a rich material that is loaded with microbes, beneficial bacteria and mycorrhiza, all of which assist in the growing process of all plants, especially in their early stages of growth. Watch the video. Rake your lawn. Use a spring-back lawn/leaf rake to remove loose debris and get the grass blades to stand up. Also open up packed-down grassy areas from snow compaction and rake out old thatch and dead grasses to allow sunlight and water to reach the soil. Sow fresh grass seed on thin patches and overseed on areas that you’d like to thicken up. To make this job easy, just apply Wright’s Premium Lawn Seed (sun & shade) for a fast green-up, thickens your lawn and repairs damaged areas. Apply Wright’s Feeds ‘N Need 28-4-8 Fertilizer with Iron — This product will produce a visibly greener lawn in a few days and the Iron is exceptional to give that envious, rich dark-green colour to your lawn and the nitrogen slow release for longer results. 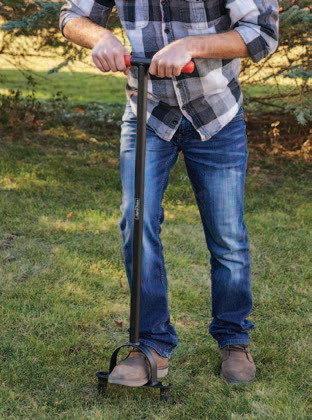 Aerate your lawn where soil is compacted with a hand aerator. Rent our tow-behind aerator for large properties or use a hand aerator for smaller jobs. Participate in Project Feeder Watch –FeederWatch is a winter-long (November-April) survey of birds that visit feeders at backyards, nature centers, community areas, and other locales in North America. Participants periodically count the birds they see at their feeders and send their counts to Project FeederWatch. Your bird counts help you keep track of what is happening in your own backyard and help scientists track long-term trends in bird distribution and abundance. With FeederWatch, your observations become part of something bigger. Click here to join. Congratulations to Jordan and Alex McKay of Willowtree Farm for being named both Canada’s and Ontario’s Outstanding Young Farmers! Brothers Jordan and Alex McKay of Willowtree Farm in Port Perry, along with Craig and Jinel Ference of Double F Farms in Alberta, were recently announced as the national winners of the 2018 Canada’s Outstanding Young Farmers program. The program is an annual competition for farmers aged 18 to 39 years of age that exemplify excellence in their profession and promote the contribution of agriculture. The McKay brothers were recognized for transforming their dairy into a vertically integrated farm that focuses on farm fresh local food. The Ference’s and McKay’s were chosen from seven regional finalists. Brothers Jordan and Alex McKay were recently selected as Ontario’s Outstanding Young Farmers for 2018 for their work at Willowtree Farm in Port Perry. Jordan and Alex developed unique ways to sell and use their produce in their year-round market and have designed the market to tell a story about buying local food. For more information, visit WillowTreeFarm.ca. The Clarington Board of Trade produced a a home-grown, engaging video to highlight agriculture in Clarington. Told by members of the Clarington agriculture community, the video describes the realities and rewards of farming as a business and as a passion. 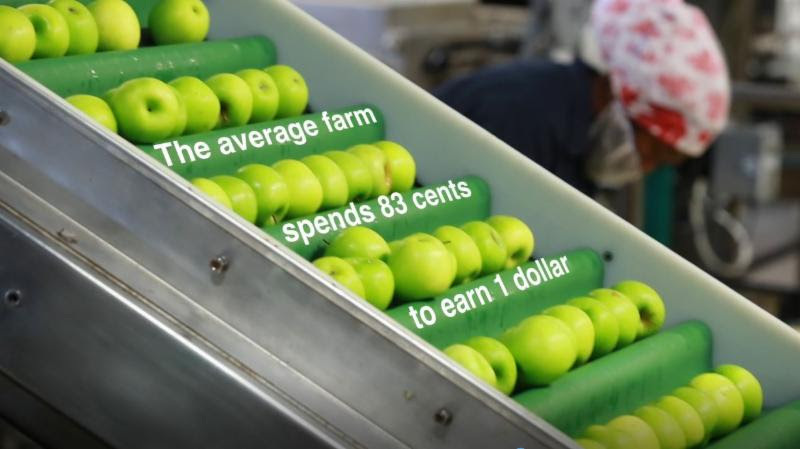 The video aims to inspire and encourage viewers to learn more about the importance of farming. To view the video, visit youtube.com. 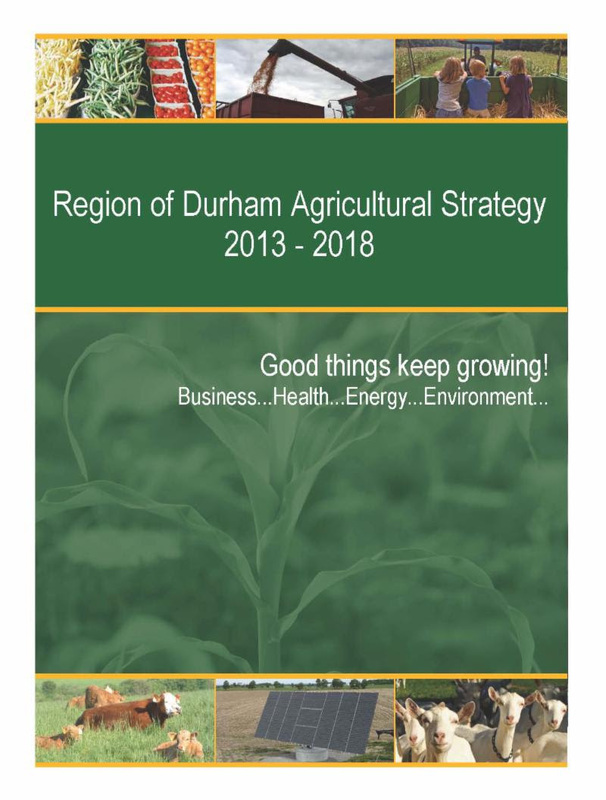 The Region of Durham Agricultural Strategy (2013 to 2018) was developed by the Region of Durham in consultation with industry stakeholders from across the agriculture sector to provide a vision and guiding principles to support the growth and viability of the agriculture and agri–food industry in Durham. Staff from Durham’s Economic Development and Tourism Division are in initial consultations to develop a strategy for the next five years and will meet with key stakeholders through facilitated community engagement sessions in 2019. For more information, visit contact Lisa MacKenzie, Agriculture Program Co-ordinator, at Lisa.MacKenzie@durham.ca. The Vibrant North Durham Economic Development Plan 2013 to 2018 (the Plan) was developed in partnership with the Region of Durham and the Townships of Scugog, Uxbridge and Brock (north Durham) to maximize opportunities to build a strong and resilient economy. An updated Plan and individual Township Action Plans are required to reflect the changing economic environment of north Durham, updated planning legislation, changes to workforce standards and new political environments. Over the coming months, staff will be reaching out to north Durham businesses and organizations to gather their input and feedback on updating the Plan. To learn more, contact Stacey Jibb, Rural Economic Development Co-ordintor at Stacey.Jibb@durham.ca. 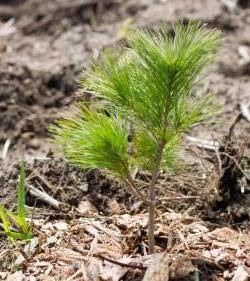 The Durham Region 5 Million Trees Program is part of the Durham Community Climate Change Local Action Plan, with the goal of increasing forest cover in the region by approximately 2,800 hectares. To be eligible, landowners must have 2.5 acres of non-agricultural land to plant. Forests Ontario plants the trees at a highly subsidized rate and checks their survival at various intervals in the following few years. Learn more about Durham Region’s 5 Million Trees Program. 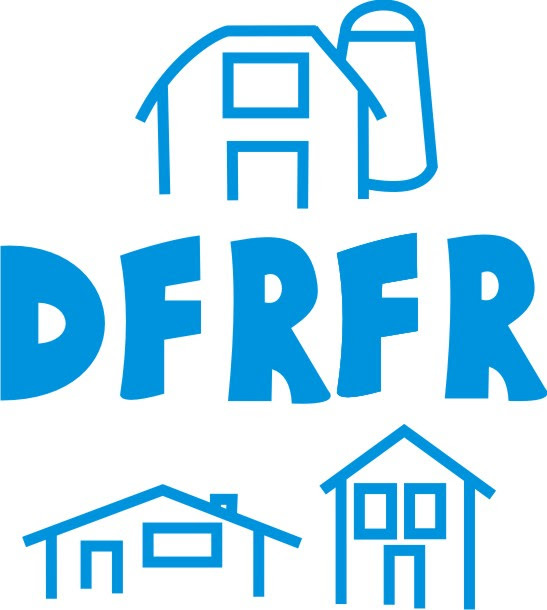 The On-Farm Childcare Program, offered by Durham Farm and Rural Family Resources (DFRFR), is designed to provide quality child care for farm families who reside in Durham where at least one of the parents’ primary source of income is through a farm operation. 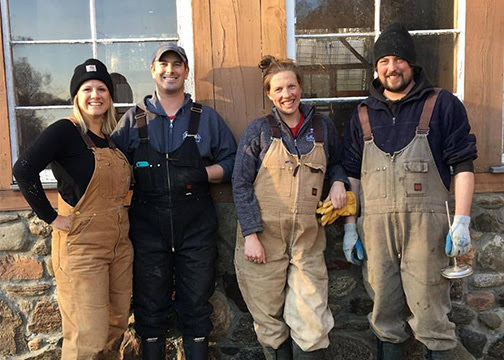 The program operates from May to September and allows parents to concentrate on farm work during peak times, without having their children in the workplace. Learn more about the On Farm Childcare Program. As of December 1, 2018, all Medically Important Antimicrobials (MIAs) for veterinary use will be sold by prescription only. Antimicrobial drugs like antibiotics are important to fight bacterial infections in humans and animals. All medically important antimicrobials will be on the Prescription Drug List – Products for Veterinary Use. Prescription drugs (including, for example, injectables, in-water and in-feed formulations). You will be able to buy these drugs from a veterinarian or pharmacist. Importation rules will continue as per existing Food and Drug Regulations. Prescription medicated feed – This is livestock feed that contains a prescription drug, including supplements, macro & micro premixes and complete feed. You will be able to buy these medicated feeds from a commercial feed mill, veterinarian or pharmacist with a veterinary prescription. The Prescription Drug List (PDL) is a list of medicinal ingredients. Any drug containing an ingredient on this list must be sold by prescription. Since 2004, new MIAs approved by Health Canada have been included on the PDL and must be sold by prescription. We are now moving all remaining MIAs approved for veterinary use before 2004 to the PDL. With this change, we establish the same level of oversight for those MIAs approved before 2004 as for those approved after. RETURN POLICY: We will gladly accept returns of in-store items with your proof of purchase and the original packaging. PLEASE NOTE: All feed products are ‘Final Sale’ due to CFIA bio-security protocols.